Singapore’s Temasek Holdings and Singapore Airline’s joint bid for a 24 percent stake of China Eastern Airline finally received its blessing from Beijing last week. The deal valued CEA at HK$3.80 per share. China Eastern’s Hong Kong listing after a three month halt resumed trading earlier today and promptly doubled from HK$ 3.73 to HK$ 7.50 before paring back to settle around HK$ 6.90 in the afternoon. Today’s surge in gave the two new investors an instant HK$5.84 billion profit on paper, about USD $750 million. Not bad for a day’s work! China's third-largest airline will raise HK$11.3 billion ($1.5 billion) selling shares to Singapore Airlines, Temasek and its parent company. Consolidation is a major trend in the aviation industry and China Eastern will definitely strengthen its leading position in China with an alliance with the world's largest airline by market capitalization, Singapore Airlines. The two new investors will provide all the management assistance required to help the airline return to profit in 2007 after reporting losses for two consecutive years. More importantly, the purchases will give Singapore Airlines a foothold in China's expanding air travel market and an increase in status for China Eastern in the aviation industry, enhancing their brand and reputation thats synonymous with Singapore Airlines. 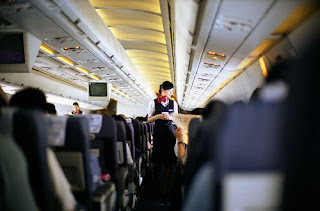 As for air travellers, its going to be good news as we are all going to get Singapore Airlines service on China Eastern.